A unique opportunity for veterinary students, helping you experience Europe’s premier small animal veterinary event completely free of charge and participate in dedicated student lectures and networking opportunities. Make sure you complete your application by the closing date of 14th December. Each applicant must be in their final or penultimate year at university and a BSAVA Student member in the UK or Ireland before they submit their Student Bursary Application. It's free and easy to join BSAVA as a student member here. 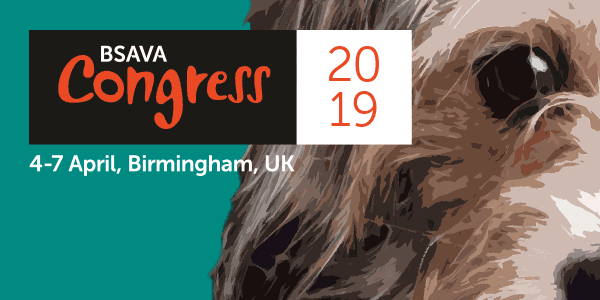 Those who wish to take advantage of this bursary must attend the student stream and all 4 days of BSAVA Congress. You will also be required to complete a feedback survey after Congress has finished. If you are unable to attend the Student Stream and the remaining days of Congress your bursary will be offered to another applicant. Applications will be entered into a draw after the closing date of 14th December and the successful students will be notified by the end of January 2019. The payment of £200 will be made upon receipt of the completed survey.